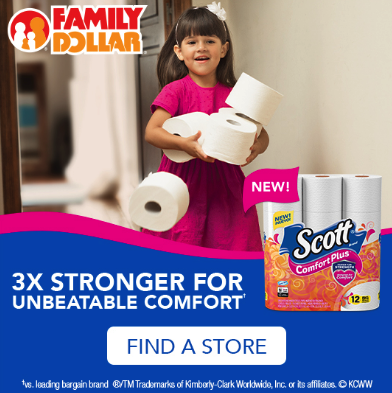 Family Dollar Coupon | Save on Scott ComfortPlus Big Roll Toilet Paper! Heading to the store to prepare for the upcoming holidays? Make sure that you don’t forget to include Scott® ComfortPlus Toilet Paper on your shopping list! From crazy schedules, to parties, to guests galore, keeping Scott® Toilet Paper on-hand is key to surviving this busy holiday season.